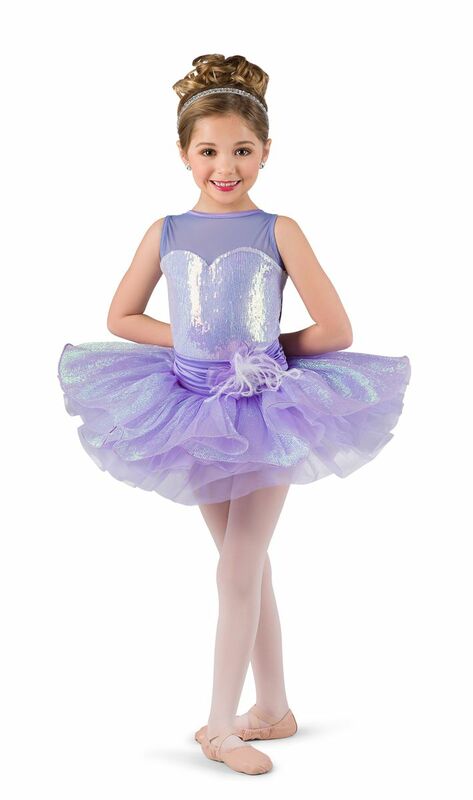 Iridescent sequin mesh over lavender spandex leotard with attached spandex sash and lavender mesh illusion neckline. 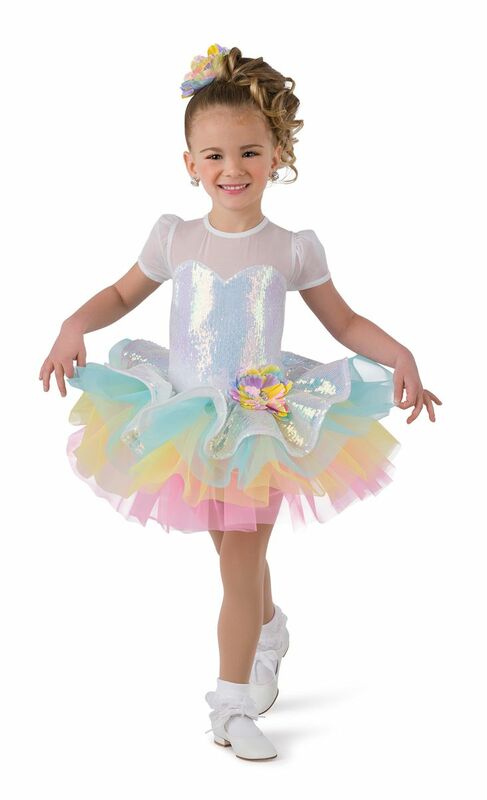 Separate iridescent organza over lavender tricot tutu with curly hem AND white fringe skirt. Feather bow trim. Imported.